Renovations have been completed in 2017 for this awesome unit on the fifth floor at Aqua! New solid flooring has been added in the Living and Dining areas, and in the Bedroom and Bunk rooms! We have also added a new leather queen sleep sofa and upholstered chairs in the family room, and lots of fresh paint and decor. A cool Zinc-top dining table was just added as well! This is the largest 1BR floor plan in Aqua, and it is on the FIFTH FLOOR!. This is the perfect height for views but not too high. Unit amenities include a huge elliptical balcony with chairs, tables and lounges, King Bed in the bedroom, TV and Blue-Ray player in the family room and TV and DVD player in the bedroom and bunk room, Queen Sleeper sofa, free beach service from March 15-October 31 (includes a pair of beach chairs + Umbrella), Washer and Dryer, two full bathrooms, a fully furnished kitchen and sleeping for six. We stayed 1 week at Aqua Condos. in Panama City Beach resort. Our stay was amazing the rooms we very comfortable and the view and amenities we perfect. Renting was seamless and easy. Unit was better than described. Staff were great. Location was incredible. Very pleasant experience with owners and Aqua staff. Have stayed many times st Aqua and never dissatisfied. Skywalk was under construction after Hurricane Michael but even construction workers were friendly and helpful. You will not be dissatisfied in 508. Immaculate Unit #508 - Great Stay! We enjoyed Aqua Unit 508 and would readily rent this unit again. 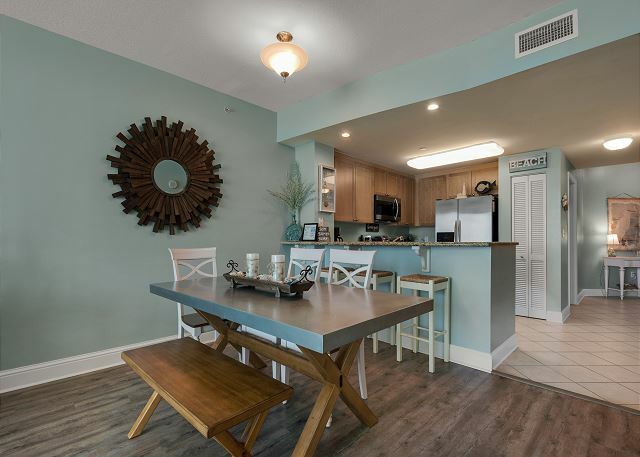 The unit is just as described – recently renovated, new flooring, new appliances, including washer/dryer, and new or newer furniture throughout – best description would be immaculate. The kitchen was extremely well equipped and met all of our needs. Internet and cable access also worked well. The unit is a large one bedroom unit, with second bunk-room. 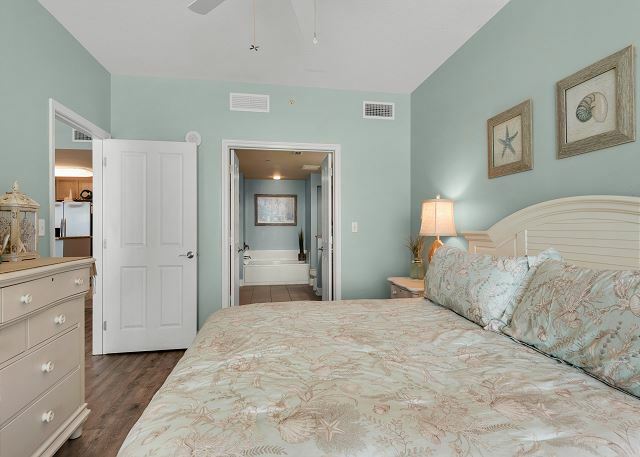 Both the master bedroom and living room are oceanfront, which makes for a nice relaxing view and restful sleep. 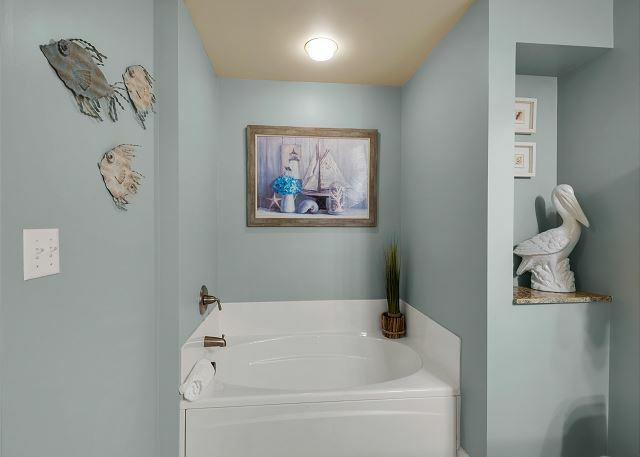 The master ensuite bath is oversized with a separate shower and bath, and double sinks. The large balcony overlooking the ocean was not as private as some as the one end is open, but the one end is relatively private. The Aqua is one of the newer condos on the beach so the common amenities are modern. It has nice workout facilities on the ground floor and a large pool deck, with one heated – and one unheated pool – we only wish the heated pool was a little warmer. There’s a nice indoor hot tub as well. The owner responded to our on-line inquiry by email within 30-minutes, and booking and check-in was both trustworthy and convenient through the Aqua front desk. The front desk staff were very courteous and friendly and available 7-days per week. Proximity to Pier Park and area restaurants was a major plus. Great stay! Nice condo. Well appointed and very clean. The only thing I would suggest is that LED light bulbs should be used in the hall bathroom as it was very dark when showering since there is no light in the tub/shower. Also with regard to the beach access, a new ramp leading to the beach would be nice since folks had a hard time with their wagons having to drag them down a flight of stairs. Updated showers on those ramps would be great too since you had to keep the hose turned on with your hand to rince off. 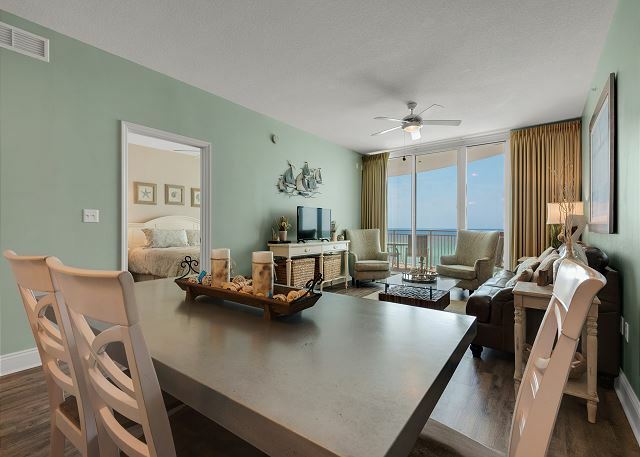 We loved the condo, location is close to Pier Park. We plan on booking again in the future, perfect for couple and if you have a couple of small children for the bunk room. Did not get room till 6pm on arrival date. Some elevators broke the entire time we were there. Owner needs to replace table in front of couch. It is to big and to heavy to move in order to setup bed. My family enjoyed the stay but I'm not a fan of high rises. The weather was perfect and our condo was wonderful! Would definitely stay again!! 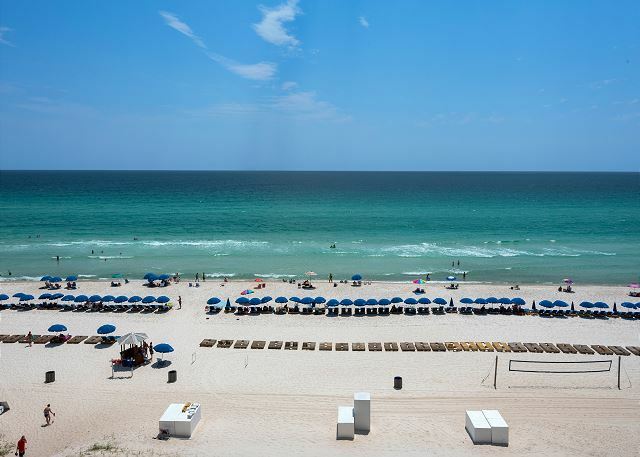 We love Panama City Beach and always stay at Aqua. This was the first time staying in this particular unit, though. It was the most beautiful unit we have ever stayed in! So nicely updated and spectacular views! The staff was also wonderful to work with. I highly recommend! The unit was fabulous. Clean & Comfortable! The location was perfect for my teenage girls to walk to Pier Park. & my 6 year old never complained about the walk either. Aqua complex could use some cleaning/painting to make the facility classier/upscale! As for unit 508; it exceeded my expectations! Will definitely be recommending to friends and family! Thanks again! We enjoyed the condo. It was the perfect size for us. We stayed in this condo in September. It was very clean. It has everything you need from dishes, pots & pans, towels, linens. The dcor had a beach theme which was very appealing. You can tell the owners take pride in their condo. Pier Park shopping & restaurants, is about a 10 minute walk from Aqua. We are seniors and found the walk no problem. The view was amazing from this 5th floor condo.The balcony was huge. The grounds were well kept and staff were extremely friendly. We will definitely come back to this unit again. My husband and I enjoyed our stay at Aqua condo rental 508. The owners, Steve and Jackie were very prompt with their responses when we were inquiring about renting. We found the condo very clean and close to many shops and restaurants. Shuckum's Oyster Bar is located just across the street and they had nightly karaoke which we enjoyed watching. Pier Park is within walking distance. 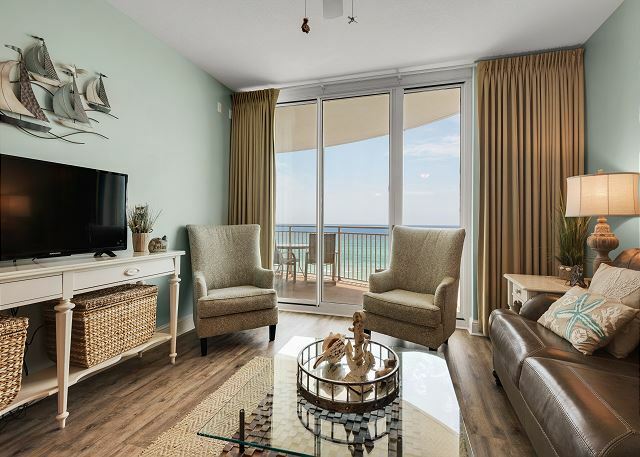 We definitely recommend this condo and would stay there again. Our room was very spacious and nicely decorated. We enjoyed our stay at the Aqua. We love staying at Aqua. 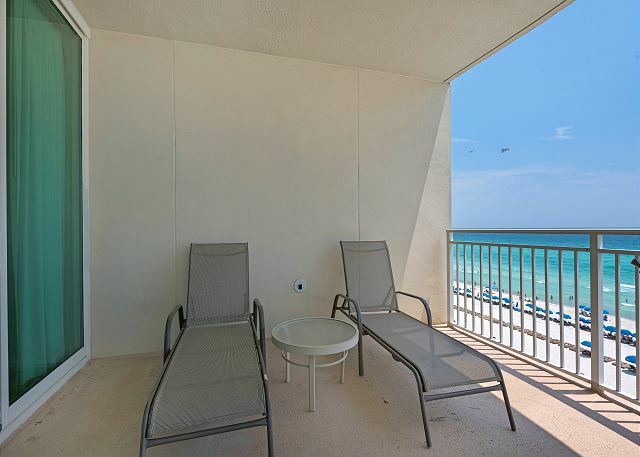 It is close to Pier Park, close to a Wal-mart (lol) and is just an overall nicer area of PCB. 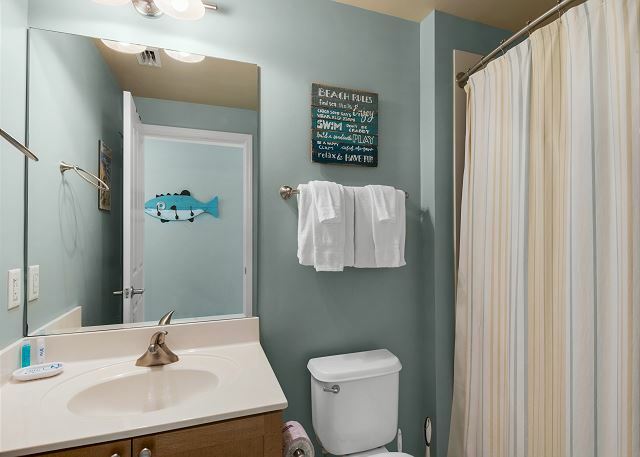 It was easy to rent through VRBO and then check-in with Aqua. First time we had checked-in with Aqua. Very clean and great views. We were given three car passes (which is nice with teenagers driving). The unit also comes with two beach chairs.